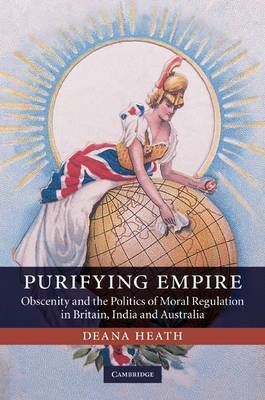 Purifying Empire explores the material, cultural and moral fragmentation of the boundaries of imperial and colonial rule in the British Empire in the late nineteenth and early twentieth centuries. It charts how a particular bio-political project, namely the drive to regulate the obscene in late nineteenth-century Britain, was transformed from a national into a global and imperial venture and then re-localized in two different colonial contexts, India and Australia, to serve decidedly different ends. While a considerable body of work has demonstrated both the role of empire in shaping moral regulatory projects in Britain and their adaptation, transformation and, at times, rejection in colonial contexts, this book illustrates that it is in fact only through a comparative and transnational framework that it is possible to elucidate both the temporalist nature of colonialism and the political, racial and moral contradictions that sustained imperial and colonial regimes.